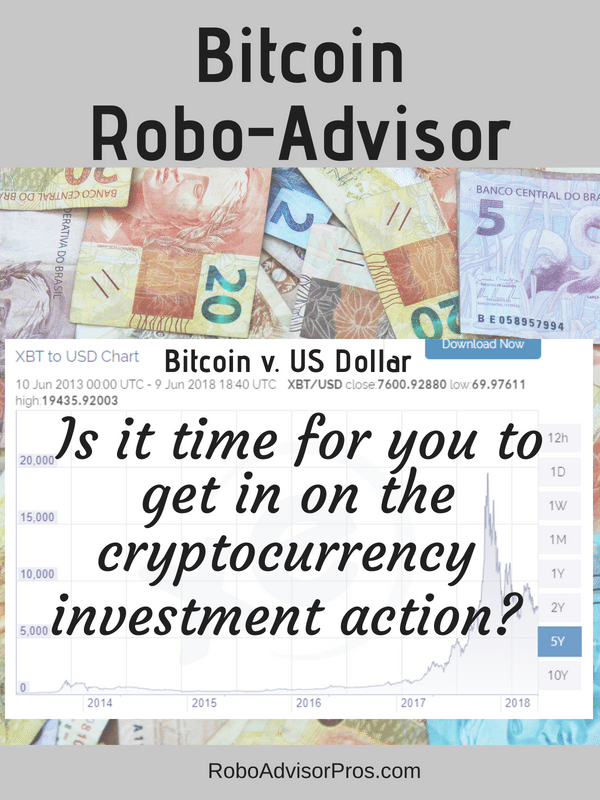 Cryptocurrency or Bitcoin Robo-Advisors are Here! Cryptocurrency: the money of the future, or a fad sure to bankrupt its many investors? Unfortunately, as with anything in the financial sector, we can only talk about the here-and-now. And right here, right now, cryptocurrency is pretty hot. Bitcoin, the most well-know cryptocurrency, in particular seems to be the latest great investment opportunity, coming in at a value of over $8,100.00 USD to every one bitcoin at the time of this writing. So, it’s about time for a bitcoin robo-advisor. Just like any investment, you want to consider some sort of management system for your cryptocurrency. After all, money that sits stagnant misses 100% of the investment growth opportunities it ignores. And so, you may be wondering: Can I used a digital advisor to manage my digital money? Does a bitcoin robo-advisor exist? Why Would I Want Bitcoin? So, is a Bitcoin Robo-Advisor for Me? If you think about it, most of our money is actually just a series of numbers moving between accounts. We don’t (usually!) pay for a house in physical cash, instead choosing to move our money around through a series of agreements and electronic payments. Cryptocurrency such as bitcoin functions in a similar way, except that bitcoin isn’t represented by a physical currency; it is completely electronic. Now, the way cryptocurrency works is extremely technical. Basically, each bitcoin is specially coded so that it has an individual identifier. Bitcoins are kept in electronic “wallets” that are unique to the individual who owns the wallet. The codes make these bitcoins easy to trace when they are used for payment or in transfer from one wallet to another. Find out; Do Any Robo-Advisors Focus on Downside Risk Protection? Bitcoin can be used to make purchases online or to make payments between individuals, so it is very much a legitimate currency. Although all currency values fluctuate to some extent, bitcoin does so very rapidly; while the current value seems incredibly attractive, it is worth noting that only a few months ago the value was over $20,000 USD per bitcoin. And it’s likely that the value of bitcoin to the USD will be higher or lower than it is today! Just like other financial products, cryptocurrency can be managed. A bitcoin robo-advisor might be just the thing to do it! Bitcoin came into being in 2009. The primary benefit of this cryptocurrency is to circumvent the need for a traditional bank. Bitcoin is unregulated and largely untraceable—it functions as a purely peer-to-peer payment system without the need for governmental or bank intervention. And, blockchain is the technology that facilitates cryptocurrency transactions. The lack of big business intervention is certainly appealing, although steps have been taken since its creation to ensure that bitcoin is taxed as an asset. Cryptocurrency such as bitcoin can be an attractive investment. Certainly, some investors are skeptical over the long-term promise of bitcoin. After all, the cryptocurrency suffered a massive drop in value recently. With such high prices for initial investments, those looking to get rich through bitcoin should be cautious. Although the currency has seen value fluctuations, many investment professionals see cryptocurrency as the currency of the future and predict substantial growth over the next few years. Yes, though the options are quite limited right now. 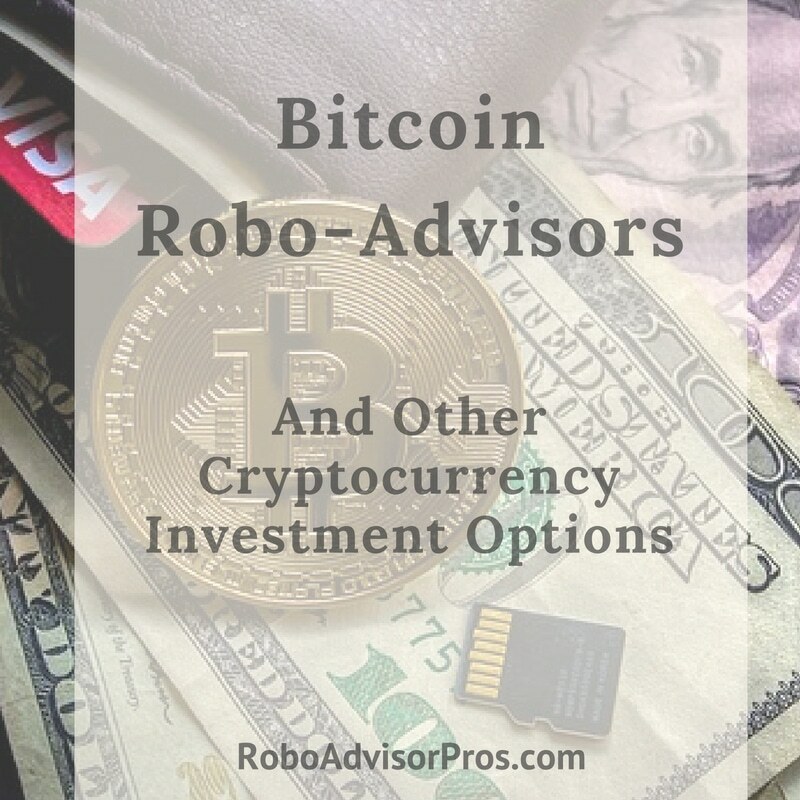 Although robo-advisors have been exploding in popularity for traditional investment options, cryptocurrency is still relatively new, as is the market for bitcoin robo-advisors. Still, a few companies have risen to the need. 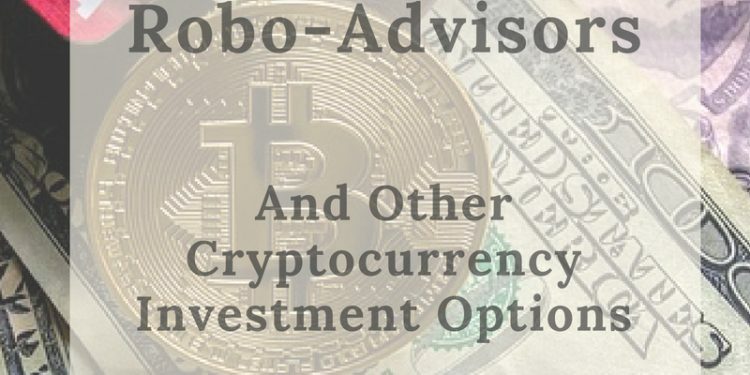 Right now, there are three bitcoin robo-advisors on the market; two are designed for consumers to use on their own, while one is designed to help traditional financial advisors assist their clients with cryptocurrency investments. The free robo-advisor, M1 Finance allows you to select your own investments from thousands of stocks and funds. First, you choose your desired investment holdings, and invest your desired amount of money in each stock or fund. Then, M1 handles the future management and rebalancing of your entire portfolio – in the same way that a typical robo-advisor works. There are several new cryptocurrency-related ETFs (exchange traded funds) that recently launched including Amplify Transformational Data Sharing ETF (BLOK), Reality Shares Nasdaq NexGen Economy ETF (BLCN), First Trust Indxx Innovative Transaction & Process ETF (NASDAQ:LEGR) and Innovation Shares NextGen Protocol ETF (NYSEARCA:KOIN). Coinmatic is a European bitcoin robo-advisor that handles all sorts of cryptocurrency investments options. Coinmatic offers “one click to go” portfolios. In these portfolios, Coinmatic’s professionals build investors a starter portfolio quickly and manage it from there. Other benefits to Coinmatic include transparency so that you always know how your investments are performing, access to a network of expert advising professionals, and the ability to cash out your investments at any time. In the fluctuating market of cryptocurrency, having the option to sell quickly is a boon. The sign up form indicates that only Euro-zone residents can sign up for Coinmatic. Even if you like the idea of sticking with a traditional financial advisor, you can still reap the benefits of a robo-advisor’s algorithms. Empirica Crypto Advisor is a bitcoin robo-advisor platform designed to supplement a traditional financial advisor’s capabilities. The platform allows financial advisors to create thoughtful profiles for customers based on risk tolerance and financial goals, just like any other robo-advisor. Empirica also offers fully automated algorithmic trades. This helps traditional financial advisors to offer timely trades and portfolio rebalancing based on live-time market fluctuations. Of course, in order to benefit from this bitcoin robo-advisor and financial professional hybrid, your financial advisor will need to adopt the software. To answer this question, you’ll need to first decide if investments in cryptocurrency are in line with your risk tolerance. If you like the thrill of a high-risk, possibly high-reward investment, choosing the right bitcoin management option is essential. Bitcoin values fluctuate frequently, and a bitcoin robo-advisor might be a great investment management option for those who want to cash in on the growing popularity of cryptocurrency. Although the options for bitcoin robo-advisors are currently slim, the growing need for asset management in the cryptocurrency realm nearly assures that more robo-advisors will join Empirica, Hedgeable, and Coinmatic in the future. Be advised, that although there’s an abundance of cryptocurrency hype, bitcoin and the others are new and speculative investments. Don’t invest in this technology without realizing that cryptocurrency values are extremely volatile. That means that investments in bitcoin or a cryptocurrency robo advisor could go up or down in value. Do Speculative Investments Have a place in a Passive Investing Portfolio?